Over the last summer and autumn of 2015 we have been working with The Environment Agency, the Dedham Vale Area of Outstanding Natural Beauty (AONB), the Stour Valley Project and Natural England on a significant project to improve the overall ecology of the River Stour as it flows through Great Bradley. The initial, and most significant, phase of the Project – which should take two to three weeks to complete – will start on Monday 5th October 2015. 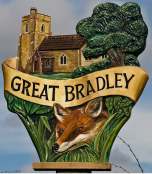 It should meet the understandable concerns raised by many Bradley residents in recent years about flows in the river. The Stour is one of the great and most famous features of East Anglia. However, the morphology and ecology of the upper reaches of the Stour (roughly speaking from Great Bradley to Wixoe) changed significantly as a result of the Ely Ouse Transfer Scheme which became operational in about 1970 (The Ely Ouse Transfer Scheme takes water from the Great Ouse to the Stour and is essential to meet water demand in South Essex and North East London). The aim of the Project is to improve the overall ecology of the River in terms of its flow and habitat to benefit fish, plants, invertebrates and, indeed, all wildlife. 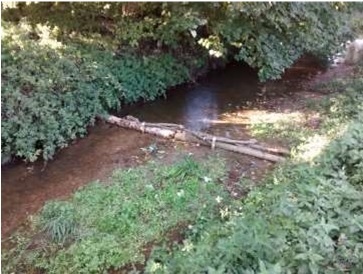 The initial phase of the Project entails the installation of woody debris (sourced from woods here at Great Bradley – it is already stacked in locations near the river and you may have seen it on your walks) in about 70 different places along the river from the confluence with The Ely Ouse Transfer Scheme (near Waterfield Barn) to Little Bradley bridge. The woody debris will act as flow deflectors creating, over time, more complex river habitats and markedly improving the ecology of the river. The Project is part of a new, enhanced integrated Conservation Strategy which we are developing for the Estate which, amongst other things, is intended to improve biodiversity, not least along the river. Using the excavator to key the logs into the bank. 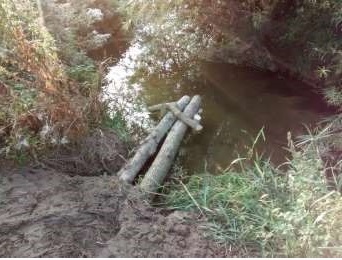 Flow deflector keyed into bank and held in place with posts driven into the channel bed. Log jam across full channel width, to create bed scour immediately downstream. Looking downstream at a series of flow defectors to create channel sinuosity. 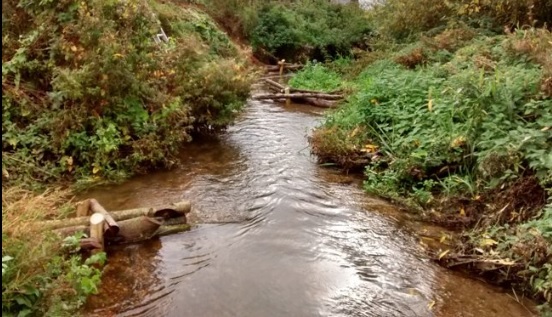 A project to improve the habitat diversity of the upper reaches of the River Stour has recently been completed. The works have been undertaken by the Environment Agency Stour Operations Team in partnership with landowners Charles Ryder and Colin Clifton-Brown, the Environment Agency’s Fisheries, Biodiversity & Geomorphology team and Dedham Vale AONB and Stour Valley Project . This work will help us achieve our Water Framework Directive (WFD) objectives. The River Stour water body upstream of Wixoe is classed as being at moderate ecological potential with improvements required to improve morphology (shape and form), invertebrates and to reduce phosphate levels before the required good ecological potential can be achieved. Working with our partners at the Dedham Vale AONB and Stour valley project a two kilometre stretch of the river at Gt. 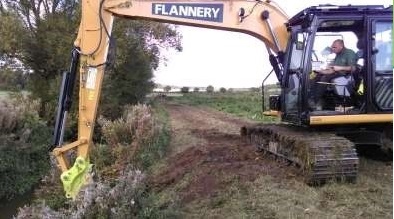 Bradley was identified with landowners not only willing to allow us to carry out restoration works on their land but able to provide us with the wood for the project and keen to be involved in wider habitat improvements along the river. Over a two week period approximately 55 woody debris structures were installed with the help of a 13 -tonne long-reach excavator and a small team of workers. These structures took the form of flow deflectors keyed into one bank and log jams across the entire channel. The purpose of these structures is to create flow diversity within the channel which in turn increases habitat diversity. In addition to these in-channel works, we have been working with Charles Ryder (one of the landowners) to identify areas within the riparian corridor where he can plant native trees of local provenance to compliment existing tree cover. In the longer term this increased cover will provide shade for the river and will help to regulate the water temperature which is important for some fish species. ​Habitat diversity will also be increased through tree roots extending into the channel banks and branches hanging in the water as well as providing a natural source of woody debris. Over one hundred trees will be planted this winter as part of a Countryside Stewardship Scheme.